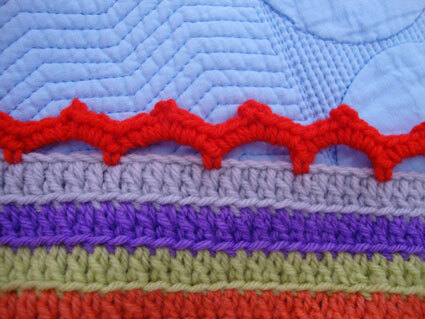 Cute & simple – that’s the best sort of edging – lovely! 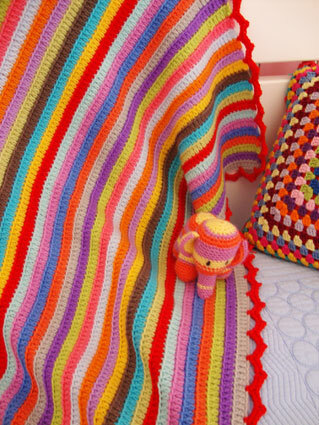 Love all the colourful stripes in the blanket too! Very pretty ! love your blanket ! That is a really striking look for an afghan edge! I really want to give it a try. Thanks for sharing your idea! Thanks for sharing that. It’s really striking and really makes the blanket “pop”. Corel draw…ok, i’m going to take a look! thanks! Have a great weekend. 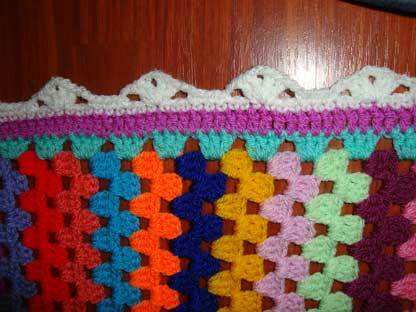 Very pretty – and nice of you to share the edging! Angie i thank you so much for sharing this beautiful edging! Wish you a funny Weekend and send you many, many Greetings! Thank you for sharing the graphic of the edging. Beautiful!! This is awesome! Thanks for this. I love love, that you are always sharing your projects and how to make them too. These days, you can barely snag anything for free! So THANKS for being so generous 🙂 It makes my day!! Thanks for sharing Angie, I’m thinking that this might be a great edge for my big granny squares I’m working on at the moment. :0) Have a lovely weekend. Le bord est fantastique, je l’aime bien et il fini ce projet parfaitement! What a beautifull blanket you made, love the happy colors! May I invite you to take a look at my blog and see what my children make from your graphics: http://annekids.blogspot.com/2011/06/mandala.html ? They also would like to thank you for sharing..
Of the panoply of website I’ve pored over this has the most vectiray. I also include a short bio for each of my guest bloggers, a photo, and a link back to your site or blog. Can you give me a few details about yourself we could call a bio to go with the post when I re-blog it? That would be great! on August 1, 2011 at 7:58 pm | Reply Katrin W.
Another beautiful finish. You are really going fast and you make very nice blankets. Thank you for the pattern. I love it so much! When you get back around to the beginning on the edging, how do you connect it together?